The substation is a virtually sealed container for three transformers. 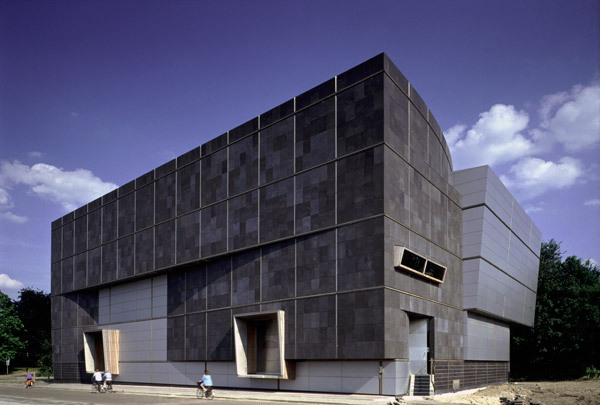 Its volume divides into two parts - one of dark basalt blocks, the other of light grey synthetic aluminium panels - slid slightly out of alignment. This division into two symbolizes the process of transformation. Different though they are, the claddings share an identical framework of stainless steel and wood; the gradual discoloration of the latter has left a game of grey lines. Its deviating planes lend the building a sculptural quality, visible as it is from several directions.